Himmeli, deriving from the Swedish word Himmel for Sky/Heaven, Traditional Himmeli can be found in both Swedish & Finnish cultures. Originally made from straw and hung over the table during the holiday season to ensure a good harvest the following year – the more elaborate the himmeli, the more abundant the next years’ crop. 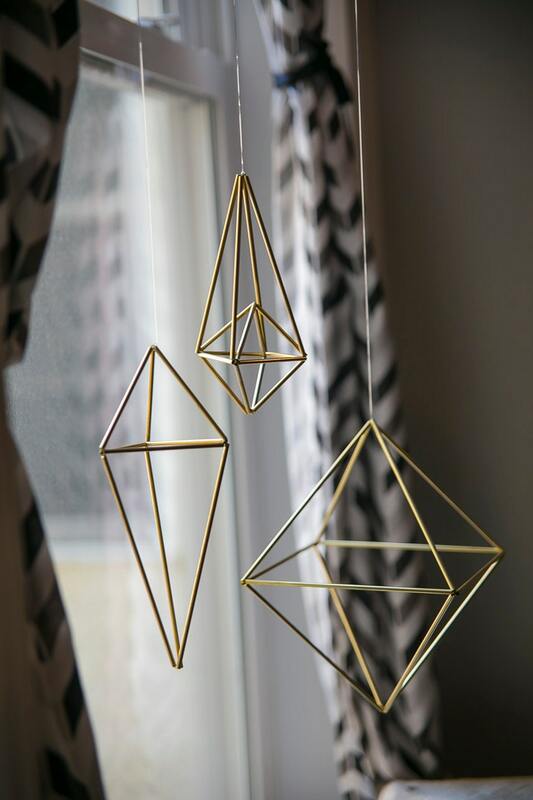 Each Himmeli is unique, hang them to create a beautiful accent anywhere & let the light play off the clean lines to cast geometric shadows. 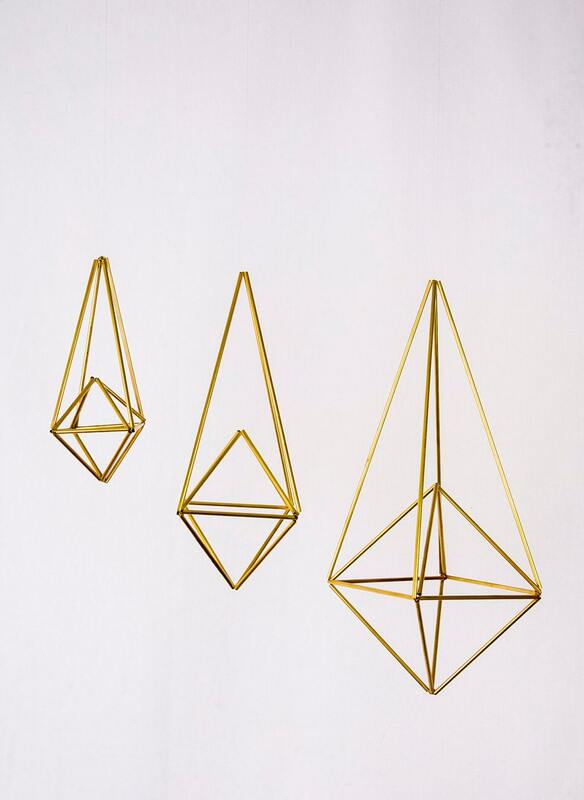 •	Each Himmeli comes with a filament string so that you may hang it anywhere in your home, another option is to remove the string & use a small nail or removable hook to hang against a wall, creating a unique 3 dimensional wall accent. 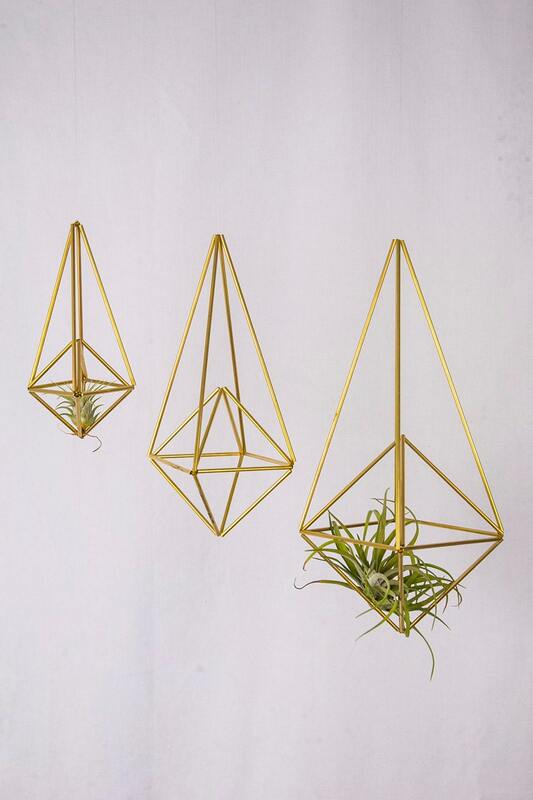 •	The brass will naturally oxidize. You may leave your himmeli to naturally patina or using a polishing cloth to restore the shine. If you have any questions, concerns or would like a custom size, please contact us before purchasing.